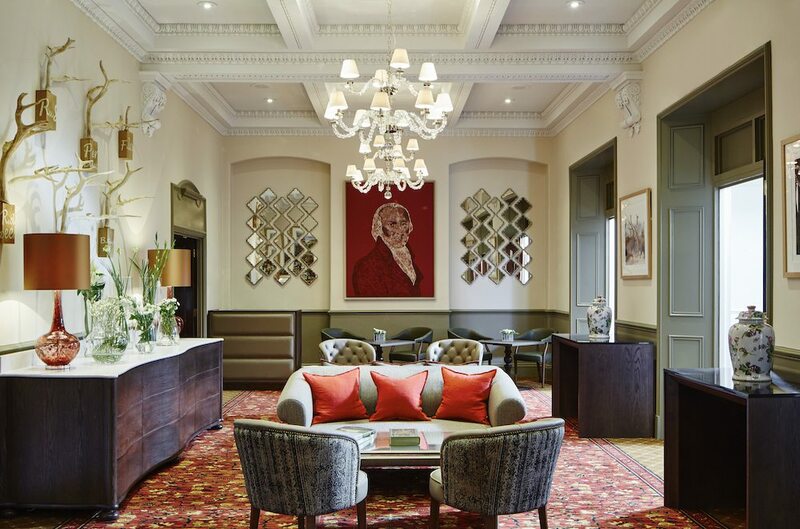 We’ve become big fans of The Woburn Hotel and its 4 AA stars- late last year it had a style spruce, replacing the beige interiors with plump upholstery, dramatic art and elegant chandeliers. I took my boyfriend to the genteel Bedfordshire village of Woburn to scope out the offering for couples. 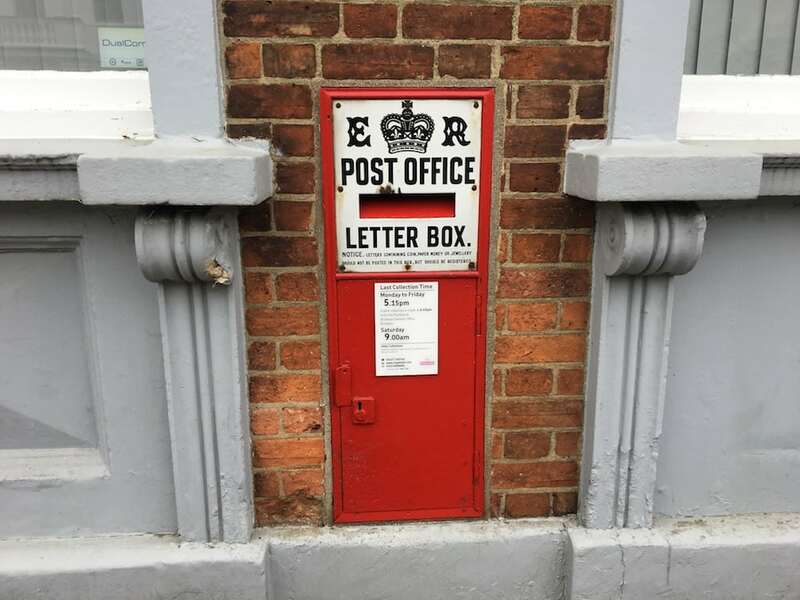 Despite being only five miles from the concrete jungle of Milton Keynes, visiting Woburn is like stepping back in time thanks to its vintage post boxes and bus stops, Georgian buildings and a friendly local vibe which all feels very Vanity Fair. 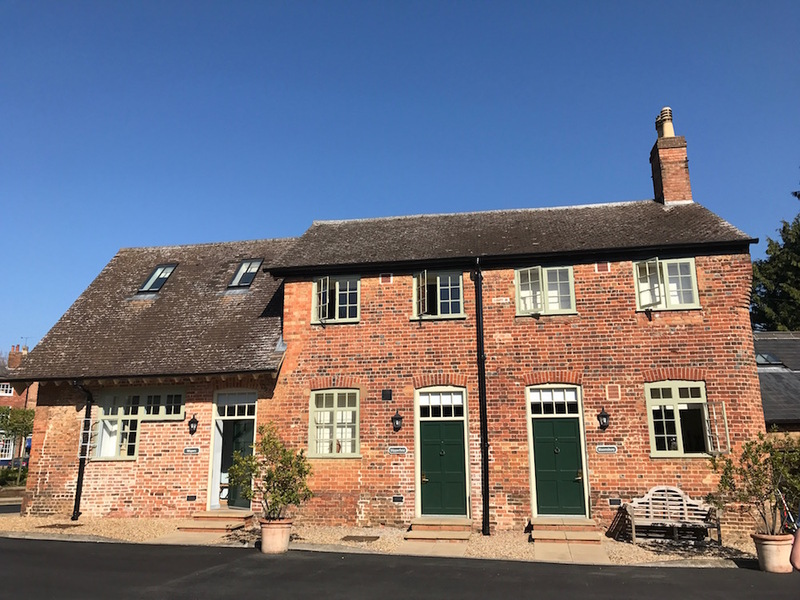 Standing prominently on the high street with original exterior brickwork and 300-year-old wooden beams, the hotel has 55 rooms (five of which are suites), seven cottages and its own 2AA Rosette restaurant Olivier’s. The interconnecting rooms are a big hit with families. The service was faultless – friendly, relaxed and informal. 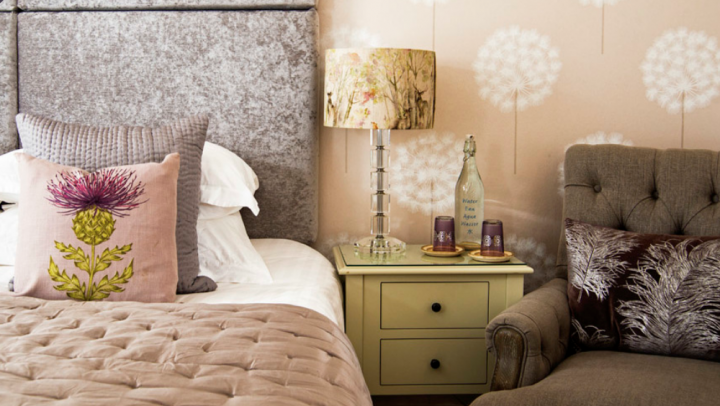 Décor-wise, it’s a mixed bag to be honest, eclectic to the point of feeling a bit disjointed. 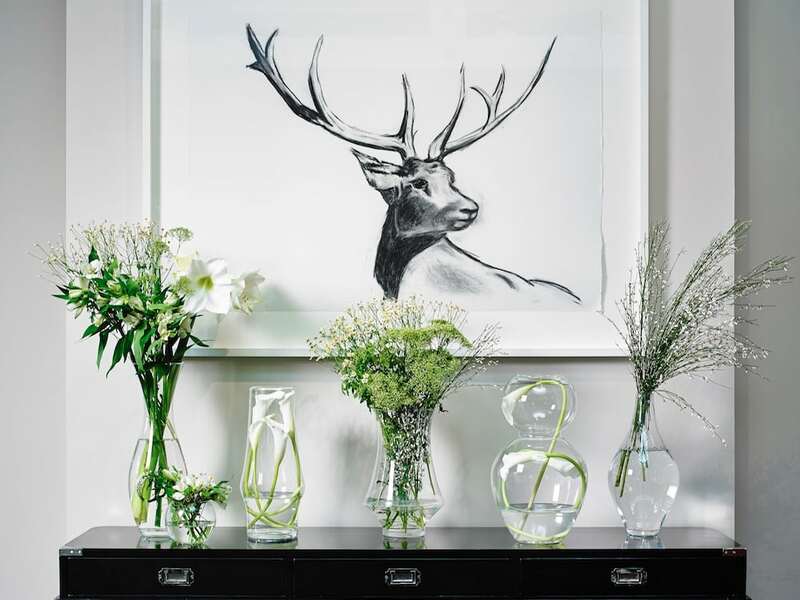 The lobby – see below – is modern and pared-down with the hotel’s signature stag (Woburn Estate’s 3000 acre deer park is close by) plastered everywhere. Meanwhile the Repton Room lounge is far more ornate, with Persian rugs, a rich colour palette and sumptuous soft furnishings. It’s all immaculate, brand new and tries very hard and is very attractive in places, though I’m not sure it quite all hangs together. 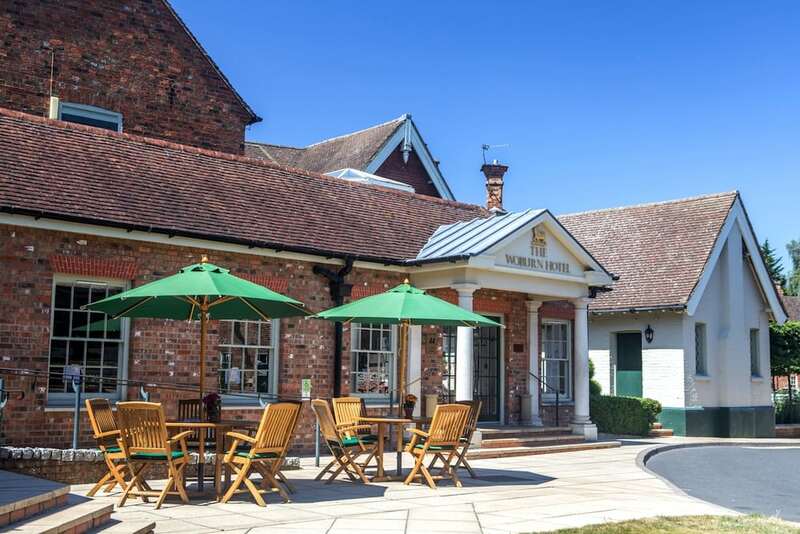 As for who else you’ll be propping up the bar next to, the hotel attracts a wide variety of different guests as the year unfolds, with corporate events mid-week, families in the summer and golfers on the weekend (Woburn Golf Club is a short drive away). 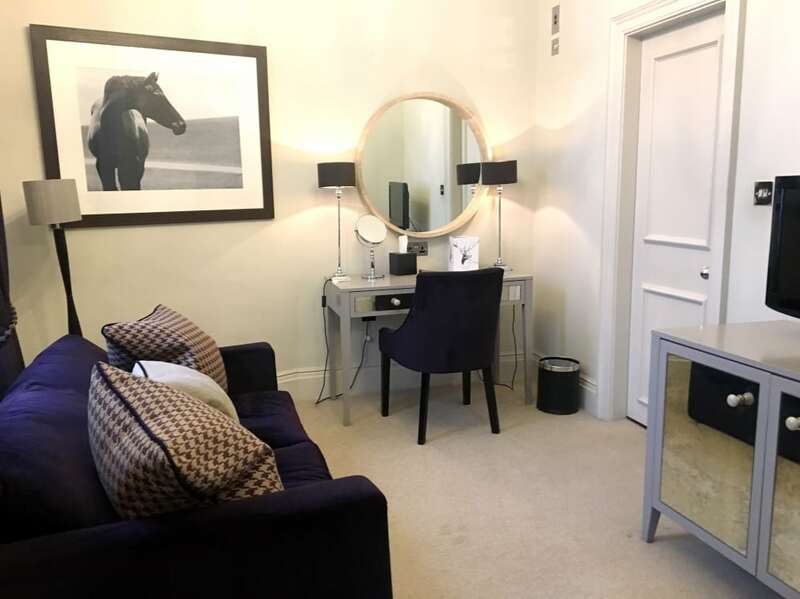 Someone has been paying attention to detail as there were water bottles beside the bed, White Company products in the bathroom and ‘Welcome’ macaroons. All the suites are themed and it’s fair to say that when they choose a concept, they COMMIT to it. 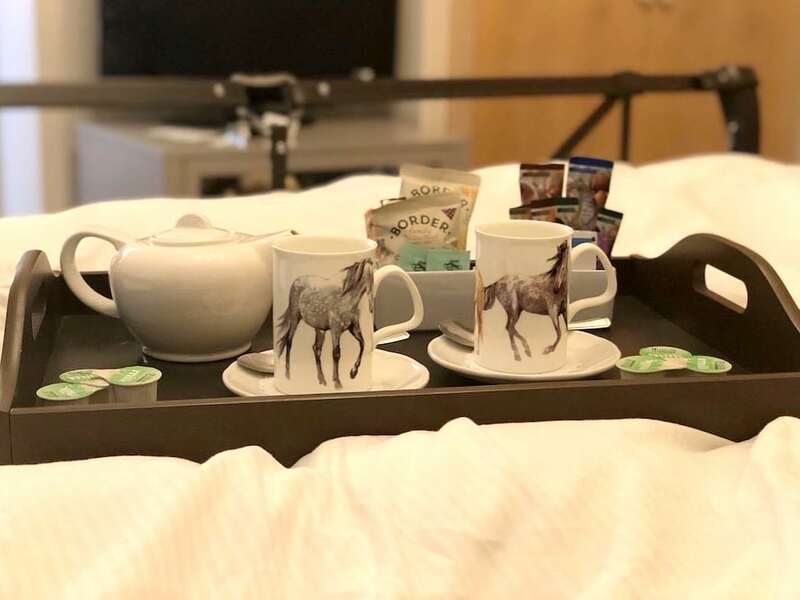 Everything from the framed jockey kit and bed frame fashioned out of stirrups, to the mugs and reading material are horsey (whoa, Nellie!). 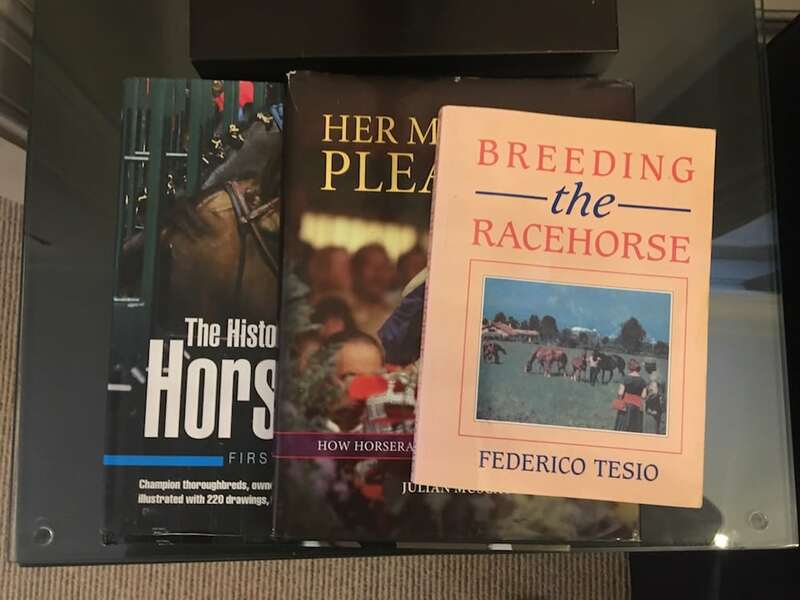 Horse-hater? Try The Chinese Room, with ornate silk furnishings from the Far East. When a restaurant has maintained 2AA Rosettes for 10 years, you know you’re onto a good thing. 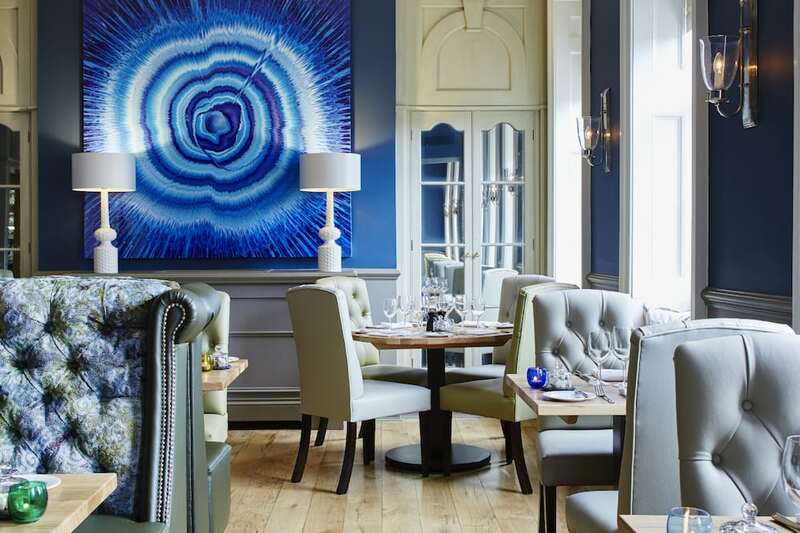 Olivier’s has seen the most love from the recent refurb and is almost unrecognisable. Teal tones and bold wall art add a modern flourish whilst the high ceilings and large Georgian windows preserve its original charm. The classical background music gave a formal first impression but the attentive, chatty staff kept things perfectly laid back. 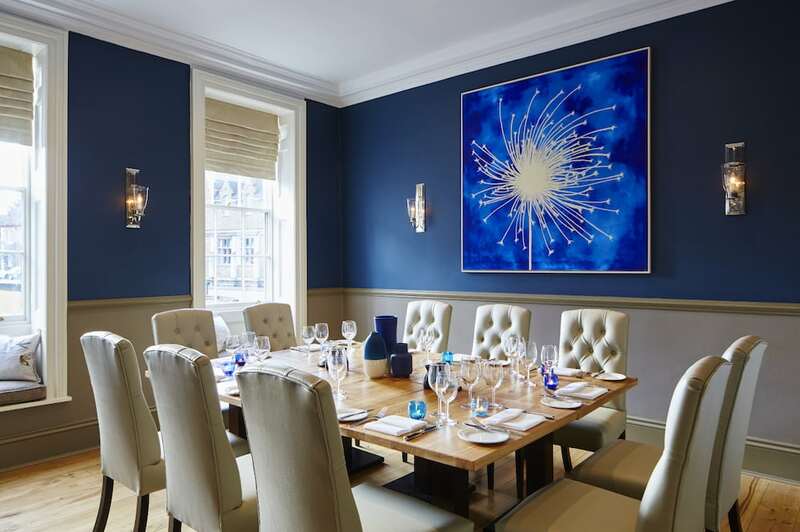 It has a big pull locally and is popular for big celebrations – there was a wedding anniversary in the private hire room on the weekend we visited. 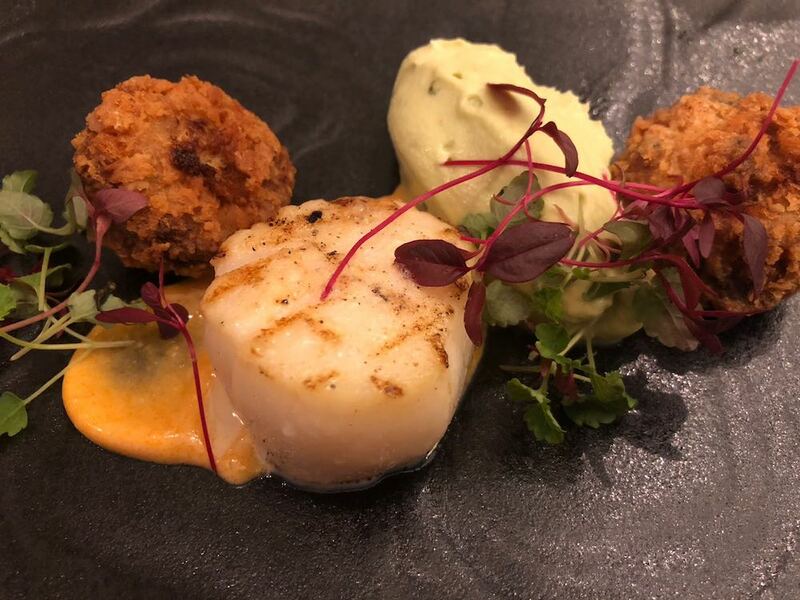 As you might expect, the A La Carte menu is seasonal and sourced locally featuring Head Chef Oliver Bertho’s twist on classic French and English dishes. There’s not a lot on offer for veggies but children are well catered for with their own crowd-pleasing menu with dishes such as spag bol. I started with the homemade butternut squash soup of the day (£5.80) and my boyfriend inhaled a scallop (yes, a solitary scallop, to his dismay) with crispy crab bonbons, crab mayonnaise and avocado dip (£10.90) which was pretty as a picture and equally delicious, albeit gone in 60 seconds. My soup was bursting with flavour but I would have liked it to be thicker. 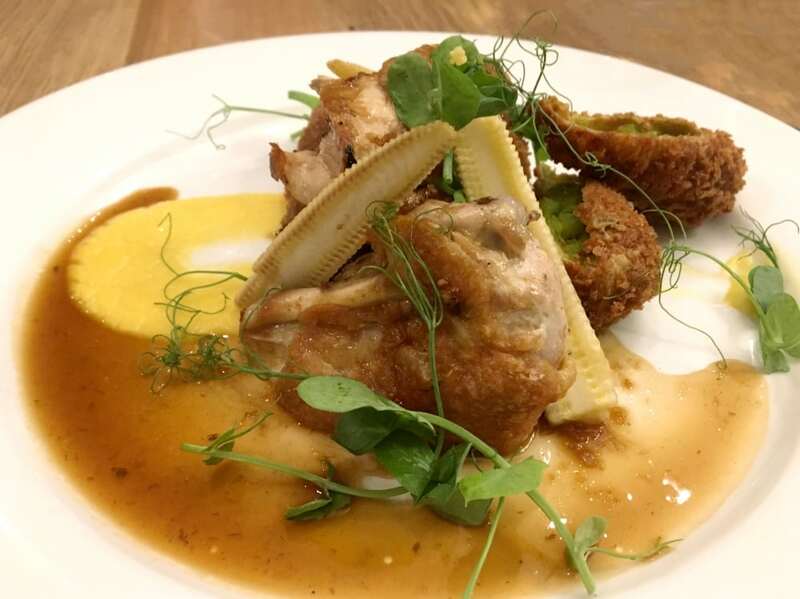 For main, I opted for the pan roasted guinea fowl with ham and pea croquettes, sweetcorn purée and tarragon jus (£17.95). The unusual croquettes stole the show, although everything else was also cooked perfectly. 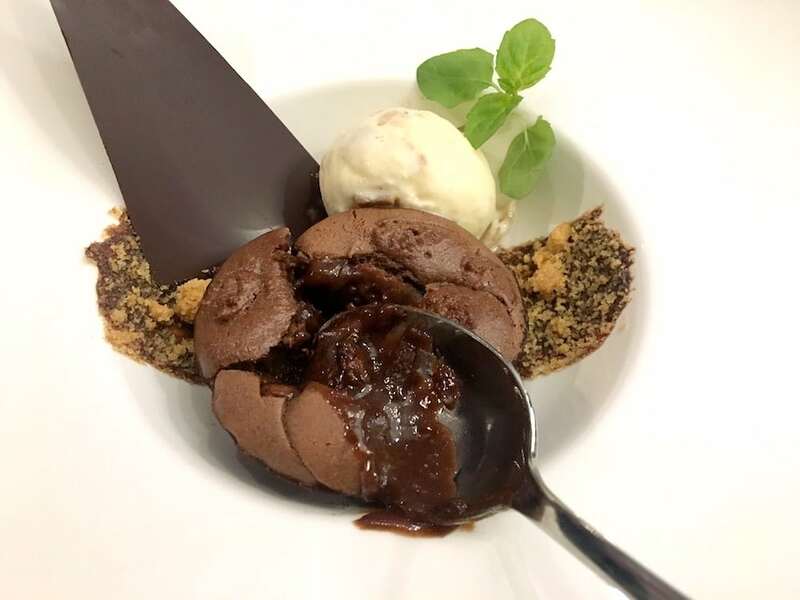 We finished the meal with a chocolate fondant and peanut butter ice cream (£7.95) which was a sugar fiend’s dream (and a dentist’s nightmare). The breakfast buffet the next morning was just as good. A massive selection of cooked and continental served in The Repton Room sent us home happy campers, even if I couldn’t do my trousers up. We stopped off at Milton Keynes on route for a round of mini golf at Mr Mulligans which opened earlier this year near Muddy’s favourite activity Mecca Xscape. Of course no trip to Woburn is complete without a visit to the Safari Park – I am happy to report that we left with our windscreen wipers fully intact. The nearby Abbey, Sculpture Gallery and Deer Park are also worth your attention. 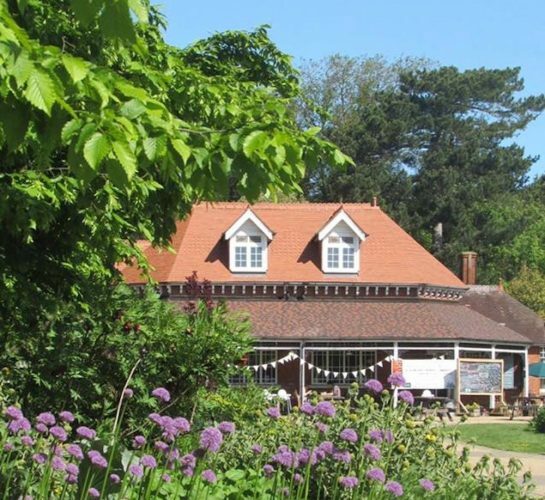 But you could easily spend a couple of hours just wandering around Woburn as there’s the cute gift shop Minchin & May, huge interiors emporium Zoohause, Souster & Hicks if you want to pretend you can afford a bespoke suit, plus plenty of pubs and restaurants. Good for: Special occasion meals, family stopovers and staycations. It’s not the most obvious choice for a romantic break but we had fun. If you find fancy-schmancy city boutique hotels a bit intimidating, this is a down-to-earth, friendly option. Not for: Party animals and city slickers – there’s no walking on the wild side here in quaint Woburn. And if you’re a massive interiors snob with a lifetime Wallpaper magazine subscription, it’s not for you. 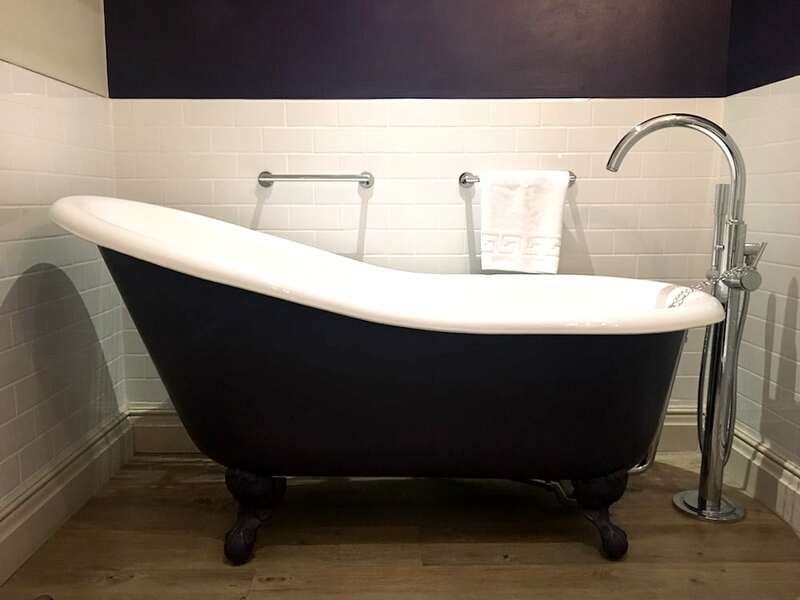 The damage: Standard double is £135, Suites are £235, interconnecting family rooms start at £250 and a Cottage Suite is £285 per night (including breakfast). 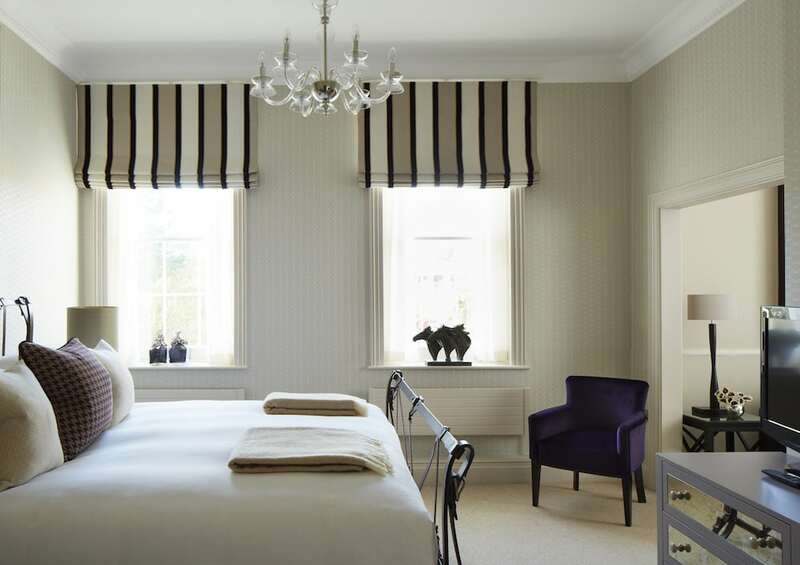 The Woburn Hotel, 1 George Street, Woburn, Bedfordshire MK17 9PX, Tel: 01525 290441. Was this helpful? 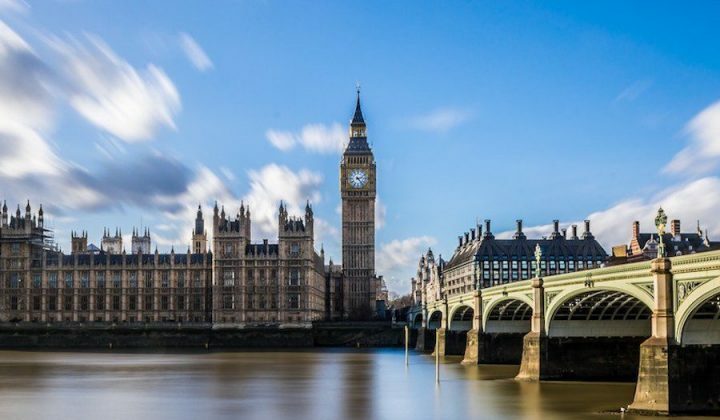 Take a look at more hotels in our Fun Finder.